My mother in-law is a fan of scones. I tried to create something healthier that we could have for breakfast. Sift flour, baking powder and salt together in a large mixing bowl. Stir in the oatmeal. In a small bowl, whisk egg with buttermilk together. Set aside. 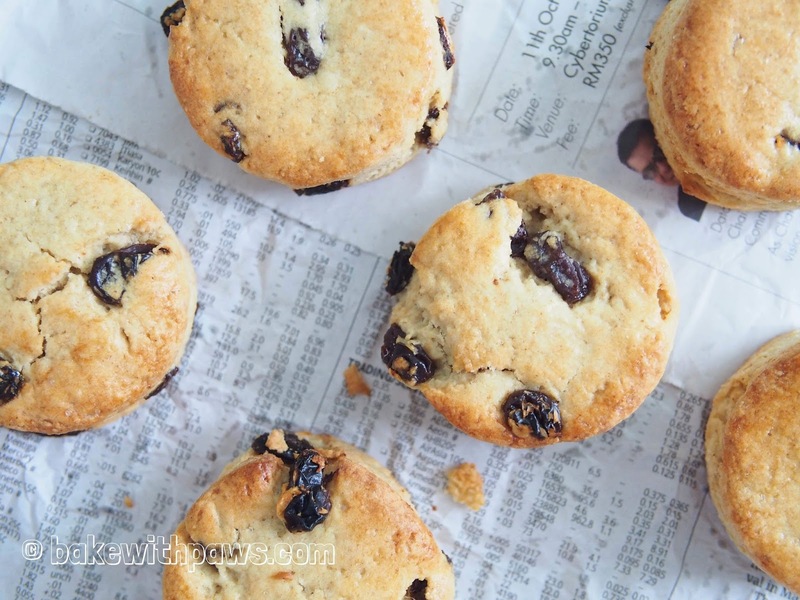 Add sugar and raisins, mixed well. 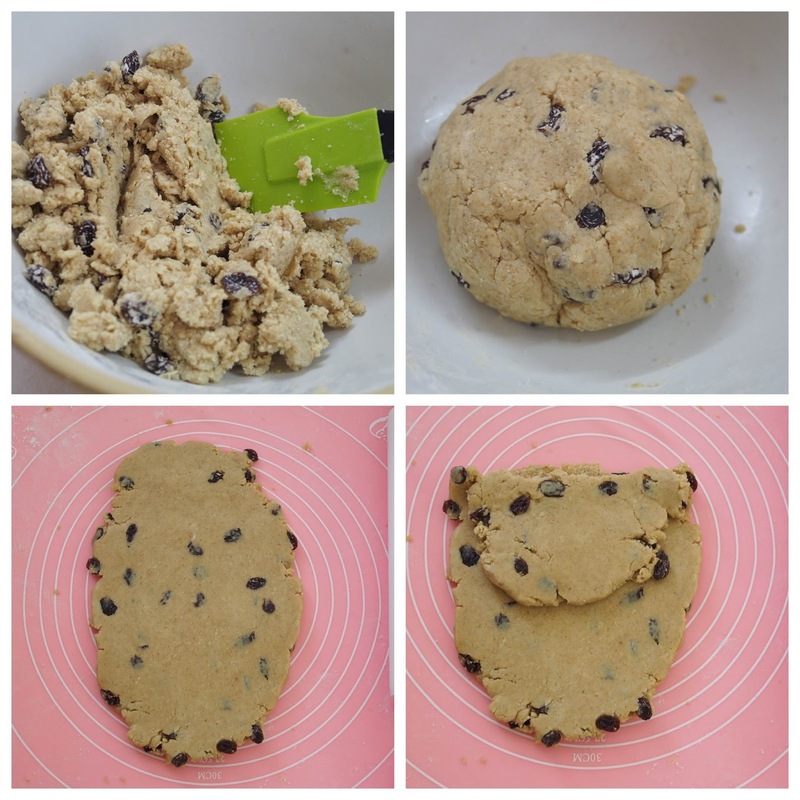 Remove dough from the fridge. Turn it onto a lightly floured surface and roll it into a rectangle about ½ inch thick. Fold it into thirds like a letter. Repeat another time the same way. 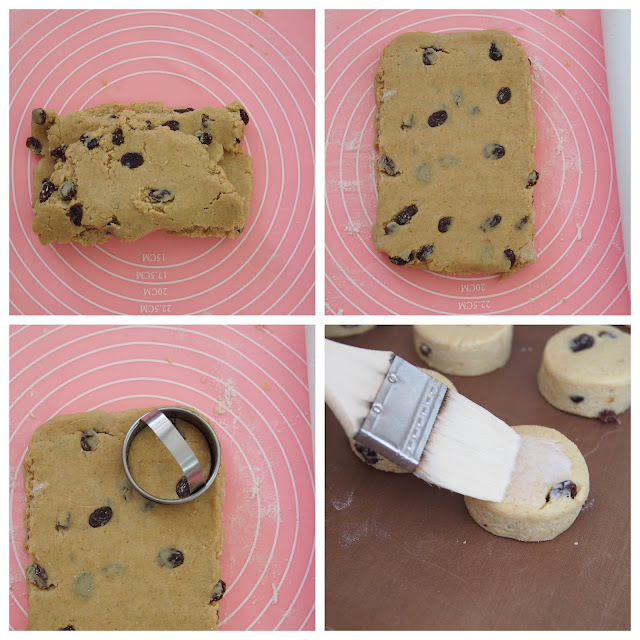 Roll the dough out to at least 1 inch (2.5cm) thick. Please do not roll it any thinner as we want to have well-risen scones. 1. Place milk in a bowl. 2. Add white vinegar or lemon juice. 3. 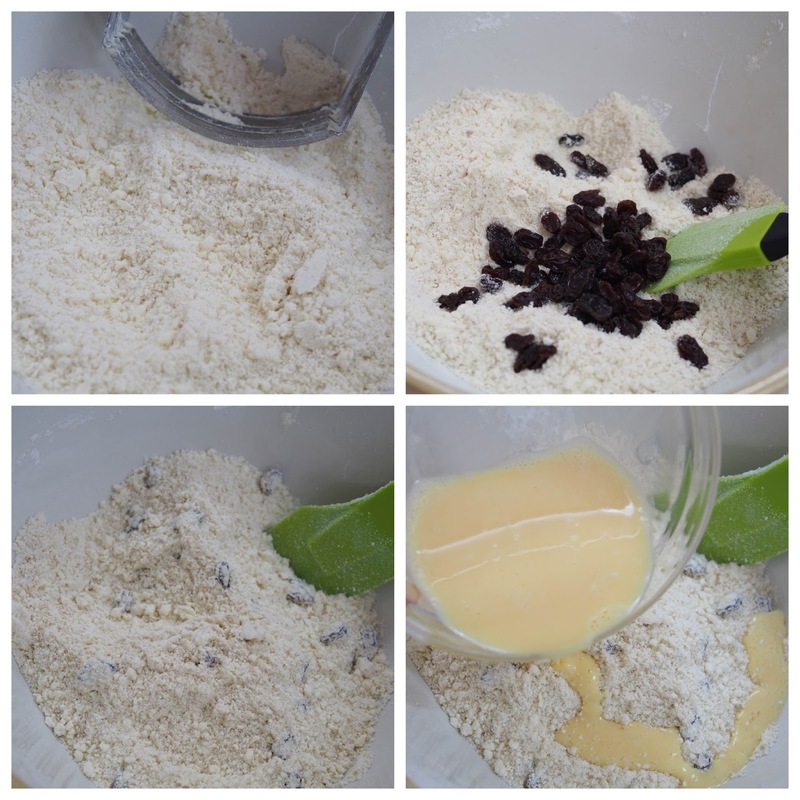 Leave the mixture to stand for 5 to 10 minutes. 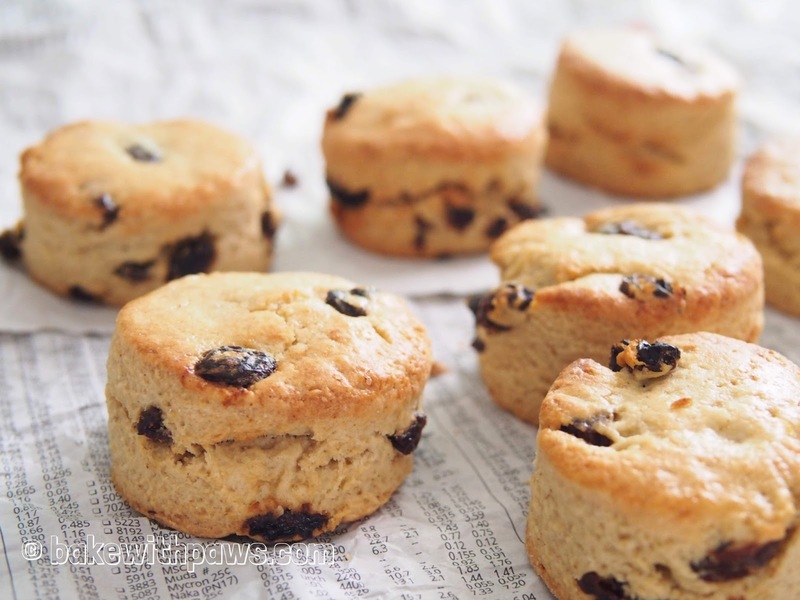 To get puffy and flaky scone, make sure the butter and milk must be very cold and try not to use hand mixing the ingredients. Blend rolled oat with powerful food processor into flour if you can't get the ready oatmeal. Hi. Can I use instant oats for this recipe? Thank you for stopping by. I never tried with instant oats. It should work too. You may need to blend the oats in food processor first.